I just saw this on Abby Liga's facebook. Abby is the amazing photographer behind Liga Photography. 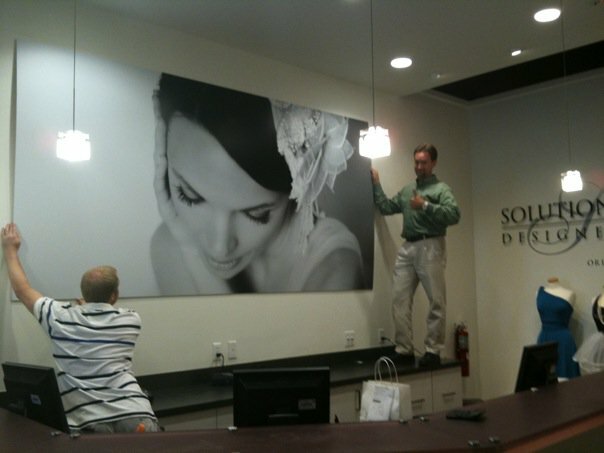 She has a huge print up at Solutions Bridal Boutique... and what's that? The lovely Julie Falconer wearing a Twigs & Honey head piece. Yeah!